To say that Jesse White has led an interesting life would be an understatement. First elected in 1998, Mr. White is the longest serving Secretary of State in Illinois history. Prior to that he served six years as the Cook County Recorder of Deeds and 16 years in the Illinois Legislature, taught school for 33 years, played professional baseball with the Chicago Cubs organization, served as a paratrooper in the U.S. Army’s 101st Airborne Division, and was a member of the Illinois National Guard. A gymnast as a child, he taught gymnastics at Chicago Public Schools, the YMCA, the Chicago Park District, and Alabama State University while attending school. 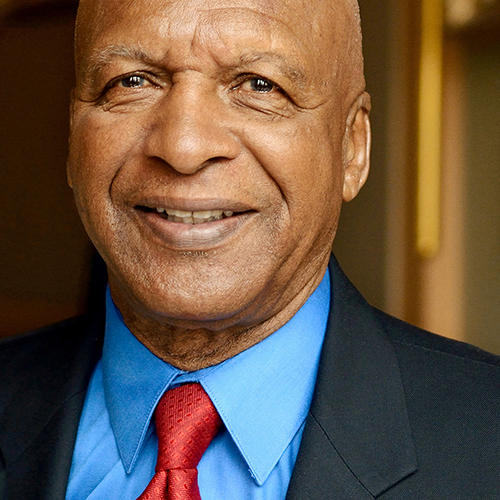 He founded the Jesse White Tumbling Team in 1959 to provide a positive alternative for inner-city kids. Team members must avoid gangs, drugs and alcohol, stay in school, and maintain a minimum ‘C’ average. Team members who fall below that standard must attend tutoring classes. The program assists with homework, encourages independent reading, improves writing skills, spelling and handwriting, and basic math. It also improves science and social studies grades through study skills and develops higher levels of thinking through group and individual work. The team, which consists of nearly 165 members—male and female, as young as age 6—gives more than 1,500 performances each year at major sporting events, community, business and charitable functions throughout the United States, Canada, Hong Kong, Bermuda, Belize, China, Israel, Tokyo, Japan and Zagreb, Croatia. The team has also been featured in commercials, national television shows and motion pictures.